The new version of HeidiSQL 9.5 is now available for download. 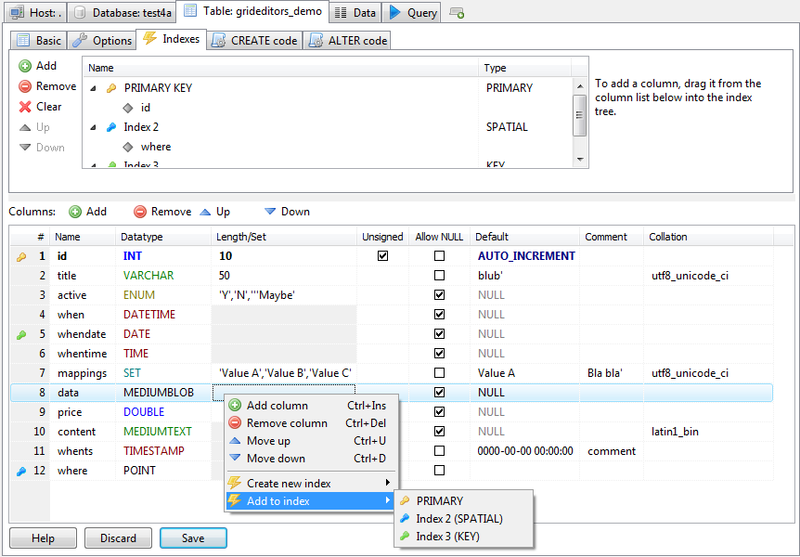 HeidiSQL is a powerful, rich feature and free database tool that supports MS SQL Server, PostgreSQL and MySQL Server. It’s an all in one tool for multiple databases. The new version comes with many bug fixes and improvements. To directly download HeidiSQL 9.5, please use this link. Expect regular expression in filter text on the right panel, not a simple string. Add new TAction for clearing query log, and assign it to the right-click menu item of it. Add custom setting for a number of days to keep queries in the query history. I have reviewed some commercial software that has similar capabilities with this HeidiSQL. For example, you may read the EMS SQL Manager for PostgreSQL, or Navicat for MySQL Server. Well, you can do a lot of things with this software. First, connect this database manager with your database server. You can connect to multiple databases both locally or remotely. This software also supports SSH tunnel to connect to your server securely. The database creator, as well as table creator, are very helpful for DB admin to complete their tasks quickly. You can also edit existing tables, add more fields, delete fields etc. 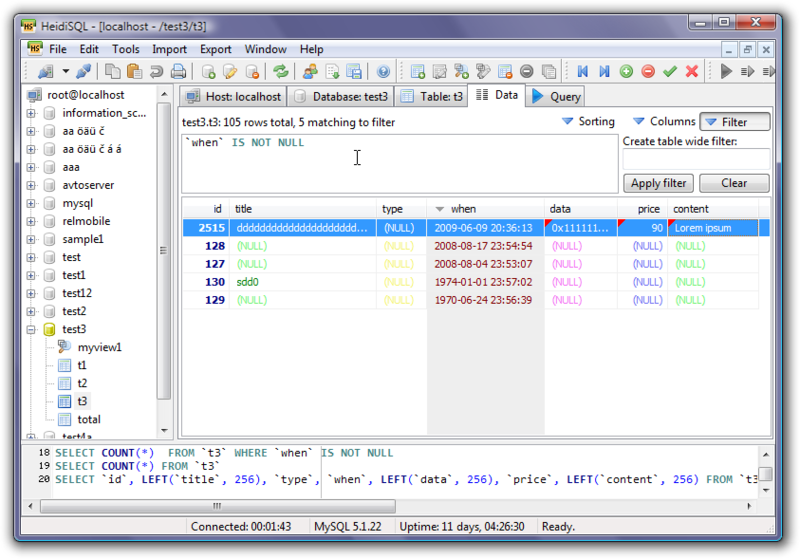 The built-in data editor lets us edit the data directly from HeidiSQL easily. Want to build a simple to complex query? No problemo, HeidiSQL will help you to build a complex or simple query at no time. 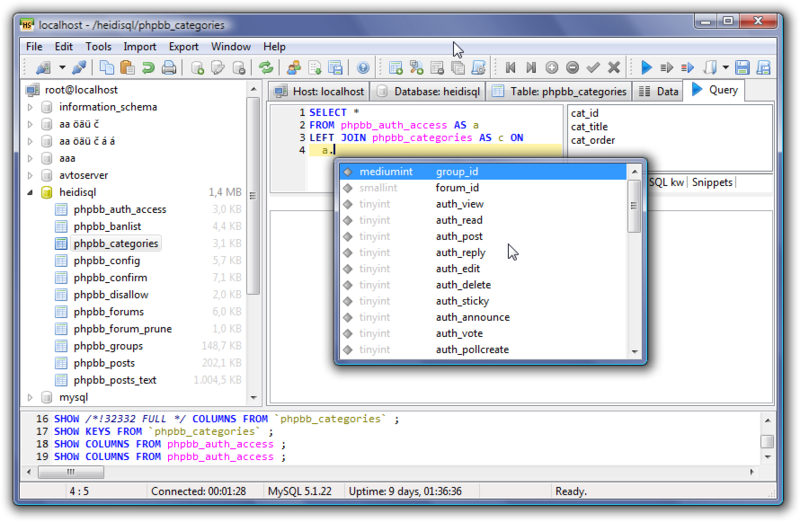 HeidiSQL is a great piece of software that allows us to work with PostgreSQL, MySQL, and Microsoft SQL Server. And it’s available for FREE. You can spend few hundreds of dollars to get all these three if you purchase the commercial software. But with HeidiSQL, you don’t have to pay anything. Well, I cannot say that this software is perfect. It takes me a few hours of trying to get myself used to it. And it actually needs some works on some areas. See if HeidiSQL 9.5 suit your needs by download and install this software. Share your thoughts here on this blog.